Aster Medcity, Kochi, Kerala - Kerala, India | Costs, Consultation, Treatments, Doctors. Aster Medcity was founded in 2014 by Dr Azad Moopen and quickly received accreditation from the JCI and the NABH. The hospital is extremely modern, with spacious hallways and waiting rooms, as well as state-of-the-art imaging and an advanced medical laboratory on-site. The hospital offers customized packages to international patients, including comprehensive surgery packages for common procedures such as coronary artery bypass grafting and hip or knee replacements. The hospital will assist with flight and hotel booking, and patients have access to free WiFi throughout, a gym, and recreational areas. The hospital is equipped with 670 beds, and 8 separate centers of excellence to treat patients in a variety of areas including cardiology, neurology, and orthopedics. 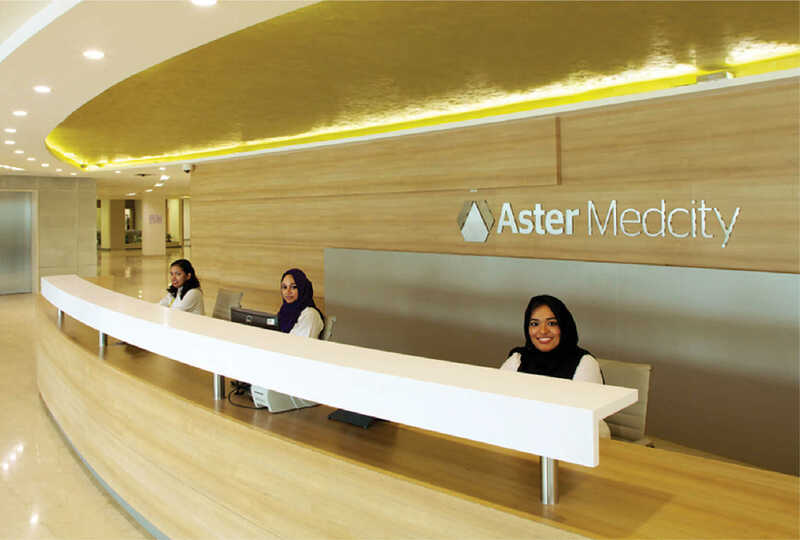 Aster Medcity is found in Kochi, south west India, and is 40 minutes from the Cochin International airport. It is easily accessible via public transport with two bus stops close by. Puthuvype Beach is 16 km from the hospital and is one of India’s lesser-known seasides making it tranquil and relaxing. It is also home to one of India’s tallest lighthouses. Marine Drive is a busy waterfront walkway ideal for shopping, eating, sightseeing, and watching the sunset.